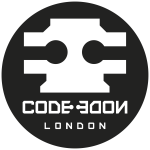 Join a dynamic community of over 1000 London programmers & software developers and get a chance to network with like-minded people and learn about new industry trends. Come along to one of our monthly meetups and hear industry experts talk about all software. Let's meet, discuss ideas and make things happen! Sorry, looks like London Dev Community haven't got any events scheduled for the moment!